CBS01: the building has 4925 m² of built area, distributed in five floors, and accommodates administrative and academic departments, classrooms, teaching and research laboratories, faculty offices, library, cafeteria, and student organization rooms. CBS02: expected to be completed by January 2018, the building is currently under construction, and has 9258 m² of planned area, distributed in eight floors. It will accommodate administrative and academic departments, classrooms, laboratories, faculty offices and student organizations rooms. CEDUP: a 5.559 m² area at Bairro São Francisco, on Av. Adv. 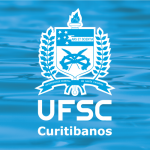 Sebastião Calomeno, accommodates the Santa Catarina State’s Professor Enori Pozzo Center for Professional Education (CEDUP). The Center accommodates administrative and academic departments, classrooms, laboratories and faculty offices. Plant Production Area: located in Campo da Roça on the Southern margin of Rod. Ulysses Gaboardi, km 6, the area includes the APV01 Building (1.273m2), which accommodates academic departments, classrooms, laboratories and faculty offices. Experimental Forest Area: the Experimental Forest occupies a 319.185,26 m² area located at Fazenda da Forquilha, accessed on Km 264 of Rodovia BR 470 in Curitibanos-SC. It currently holds agreements with EMBRAPA and EPAGRI. A 39.2 m² built area is intended for academic departments.